Wow!...two of them? How well do they play together and how is the combined sound? Using the AirFoil app, they play very well together! I played several instruments into college and I have to say the sound is clean, crisp and clear. Using the AirFoil app, they play very well together! I played several instruments into college and I have to say the sound is clean, clips and clear. That’s awesome, and thank you for replying. I appreciate it. Interesting you got both colors. Personally I would go with the same color, at least right next to each other. Bet it sounds nice either way. 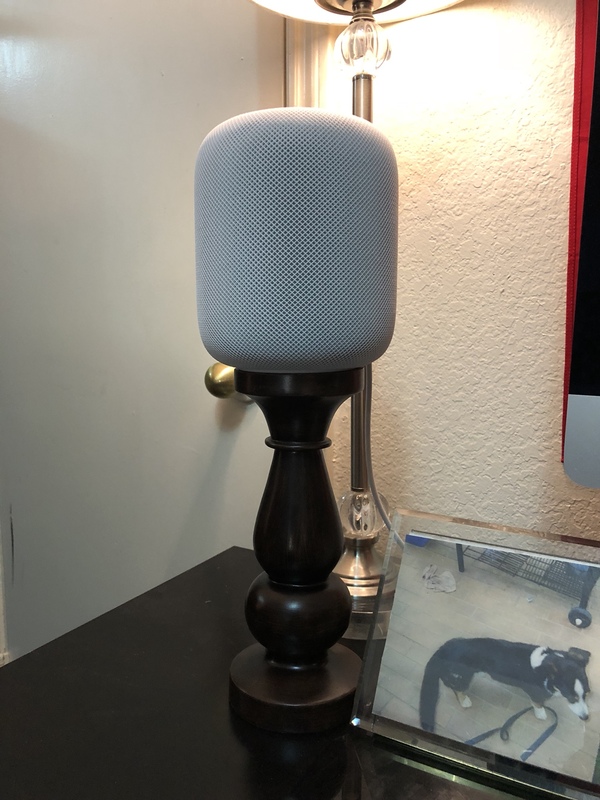 Have you watched a movie on your Mac with sound through homepods? Most of my Apple products are black in color. I wanted to change it up a bit. Plus makes it easier to identify left and right speakers. I only listened to music; mostly classical and jazz. The sound is very enjoyable. 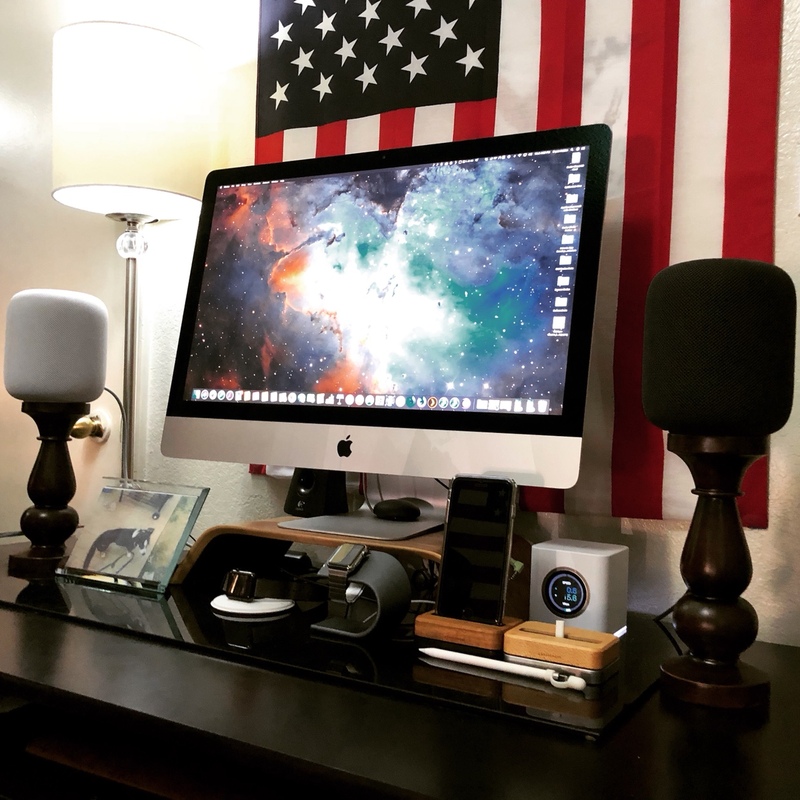 Nice little setup you've got there. :yes: Do the stands affect the sound at all? Any chance of them vibrating off the stands at higher volumes? No they don’t. As a matter of fact, I bought them to enhance the sound. 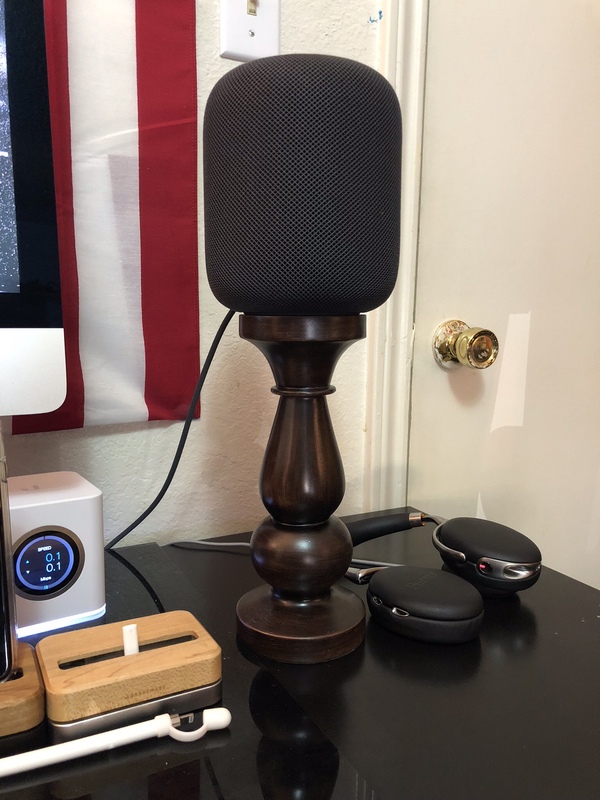 I wanted the HomePods to sit at ear level when listening to podcast. To simulate the effect of being in the room with the podcasters.